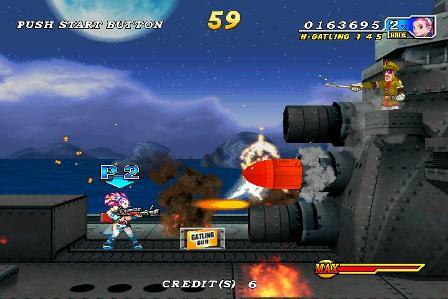 another Metal Slug style action shooter, but with 3D graphic as background. 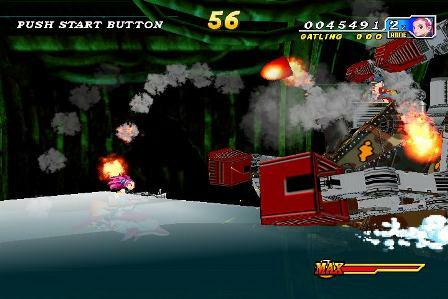 similar gameplay, shoot all enemies, get more powerful weapon and make your way to the end of stages. 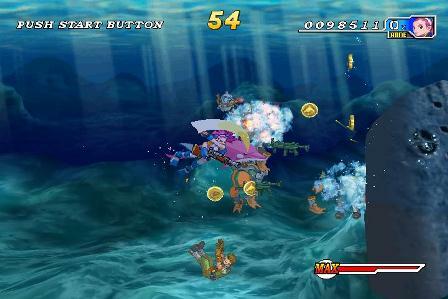 a little different, this game has ocean theme, so there're more in water battle here. 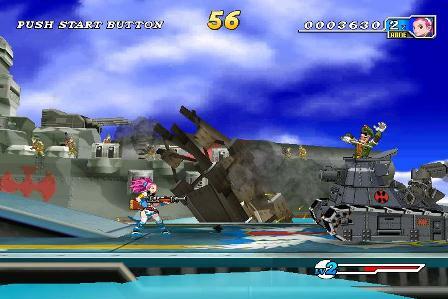 your character also acompanied with a dolphin here, which can be used to launch special attack. special attack is using a gauge, there is 3 level and it's auto charge, so just use it as many as you can. 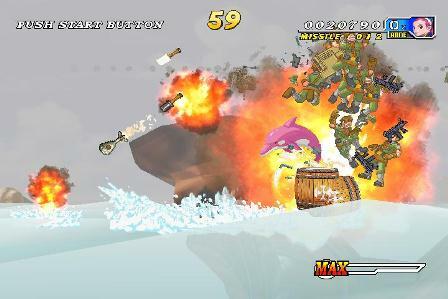 in short, it's just Metal Slug with oceanic theme, and 3D graphic in background. 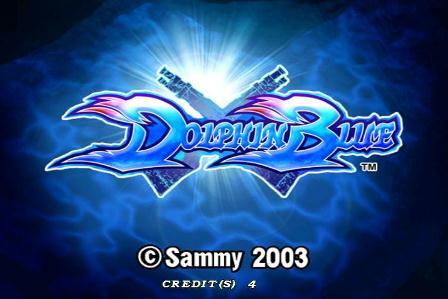 still fun to play, specially if you like this kind of game.